I personally have been interested in "The Massacre" (published in 1954 ASIN: B004MLR0WO) by author John J. Vrooman, since the book mentions the half-blood brother, Jacques Van Slyck, whose Dutchman's mother was Otstoch (a half Mohawk and half French child). Jacques's father Broer Cornelis had changed his wife's name from "Otstoch" to “Margretta” and they lived/worked among the Canajoharie castle of the Mohawks. Thus the namesake of Margretta has been passed down from generations——including my mother and my sister. 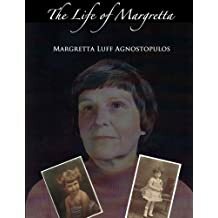 The book “The Life of Margretta” (ASIN: B00EZSJLIU) is available at Amazon for additional information. The background of the massacre and destruction of Schenectady by the French and their Indian allies in 1690 is an intricate pattern of Indian relationships and French-English rivalry. A rivalry for the limitless land of an unexplored continent and the rich flow of furs that came from it through the hands of Indian trappers into those of the French coureurs de bois, competing with the Dutch boslopers and English traders. The following pages are an interpretation of a miscellany of French, English and Dutch colonial documents, together with later writing in this book. An unusual gathering during July 1667 assembled beneath the age-old elms that shaded the cottage was the site of the leading citizens of the newly formed village of Schenectady. Beside them was their half-blood Dutch and Mohawk brother, Jacques Van Slyck, and his sister, Hillitje, to act as interpreters. Facing across the few intervening feet of rough grass were a group of the local citizens, Dutchmen for the most part. The father of these two interpreters, Jacques and his sister, were the half-Dutch, half-French Broer Cornelis, now dead, who years ago had come to the Canajoharie castle of the Mohawks to trade. There he had met and married the beautiful Princess Otstoch, their mother. Ever after that he had made the castle his home, and it was there that these two interpreters were born and brought up. This meeting was "to interpret for the benefit of the Mohawks beside you and testimony taken in the English tongue, and for our understanding, whatever the Indians may say." All had come from their homes at the castles of Gandawaugue and Andagaron some thirty miles up the valley at the request of the authorities at Albany, as being the Indians' most particularly concerned their last mission.